Robes for Women - Looking amazing in the perfect robe that you reach for again and again is easy peasy with one simple tip - knowing which styles are the best for your silhouette. 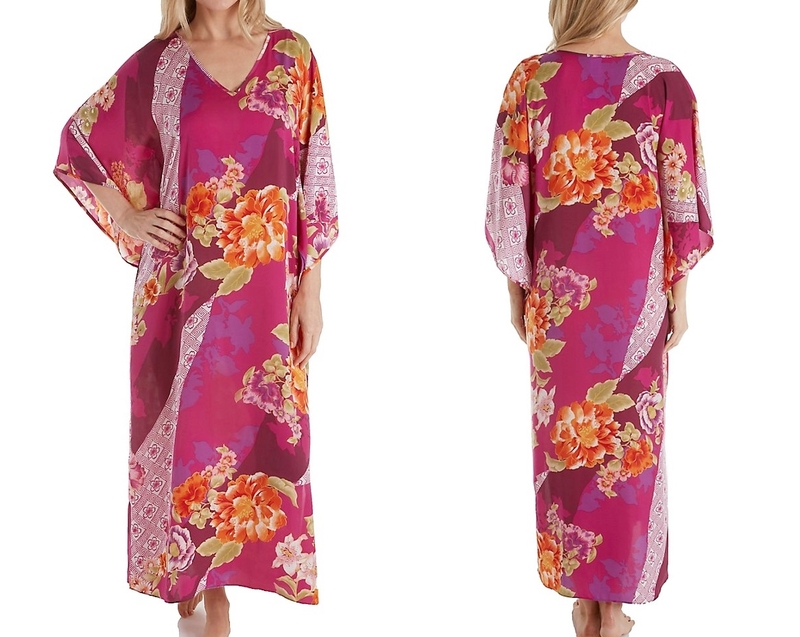 From short spa wraps to luxurious kimono robes, zip front robes to peignoirs, with so many choices on the market, the sleep wear options are like browsing in a popular candy store - simply fantastic. They can also be overwhelming, especially when finding a style that really flatters your figure. No worries. In this article, we’ll show you how to narrow your search, by shopping for your shape, and finding the best robes that will suit your silhouette. Follow along as we show you how. Since robes like most sleepwear styles are cut generously and are known for their flowing shape, its easy for petites to get lost under too much fabric, or styles that are too boxy and overwhelm their silhouette. Cotton robes are always a favorite. Like cotton lingerie and cotton sleepwear they're easy to care for - just wash in cold water and line dry, or dry on low heat. When looking for a robe for women with plus size figures it’s important to consider one main factor: defining the waist. How? Tall girls look great in long robes and sleepwear styles that let them show off the length of their legs. Floor sweeping long robes or midi style robes are the perfect way to highlight your height, especially when you opt for styles with a thigh high slit for maximum wow. Short robes can often be too short, making your robe look more like a top, leaving you craving more coverage, so make sure you choose a style that’s cut long enough to cover your thighs for a balanced look. If, your budget can handle it, splurge and consider the ultimate in luxury robes - a cashmere robe. 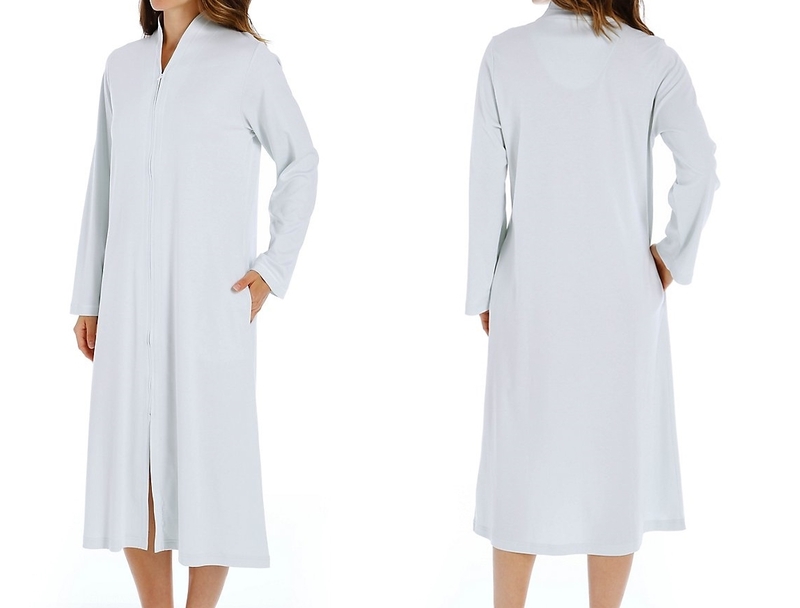 Cashmere robes are incredibly soft, plush, luxurious, and will last a lifetime if properly cared for. Flattering a full bust is all about creating a balanced silhouette, so look for ladies robes with voluminous or flared shapes that will add extra attention to your lower half. Full, swingy styles, ruffled hems, or contrasting trim along the hemline will draw visual attention to the bottom of your silhouette and will compliment a full bust. Finally, make sure you try on any robes before you buy to make sure they’re cut generously enough to cover your bust when closed. Similar to the tips and tricks for flattering a full bust, pear shapes are all about creating the right proportions between the top and bottom halves. How?